Las Vegas is one of the most famous cities in America, the capital of the global casino industry and the place of the most diverse entertainments. Every day hundreds of people come there hoping to win the jackpot and diversify their lives. However, it wasn’t always so. The legalization of forbidden entertainments in 1931 marked the beginning of the active development of the gambling business, and over the years, dozens of prestigious casinos began to bring very substantial profits to the owners. Now, Las Vegas is a city of world renown, which annually receives about 40 million visitors. Of course, this is not without the reason: more than 1000 gambling houses, hundreds of casinos, dozens of hotels are undoubtedly the great sights to see! But what else is remarkable in the Sin City, except for the fashionable hotels and alluring lights of gaming establishments? Located on the territory of the Mirage Hotel, Volcano is a decorative, but quite real natural attraction erupting fire and smoke on the visitors. An eruption with music can be seen daily every hour from 7pm till 11pm. If you want to take the best seats, you should try to find them 10 minutes before the start of the show. There is no need to pay for entertainment. Just come there and enjoy it. The hotel is located on Las Vegas Strip, and can be easily reached by convertible rental in Las Vegas. It’s believed that the volcano was created with only one purpose – to surpass another attraction of Las Vegas, the dancing fountains of Bellagio. Yes, they dance and fascinate with iridescent paints of water jets. The peculiarity of this unusual sight is that the fountain is controlled by a computer, and its program is designed specifically to create the effect of dance movements. 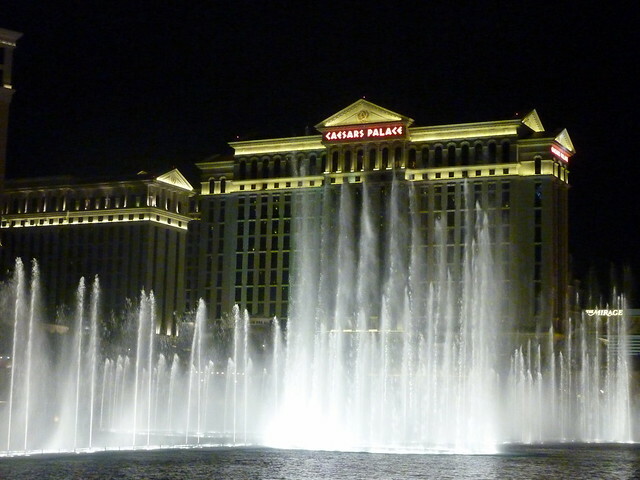 The fountain successfully plays the compositions of Madonna, Frank Sinatra, Elton John and about 20 other musical works of world-known performers. The owners have spent over 40 million dollars for the creation of the major decoration of Bellagio! But there is no doubt that guests staying in the rooms of one of the most expensive and well-known hotels in Las Vegas, fully paid off these costs. The huge aquarium, which is located in Mandalay Bay, has become a real treasure for the fans of marine fauna. It represents numerous inhabitants of the aquatic expanses and operates daily from 10am till 10pm. In the aquarium, there is a special glass tank surrounded by water on all sides, allowing you to literally meet face-to-face with amazing representatives of the underwater world: dangerous sharks, bloodthirsty piranhas, jellyfish, turtles and clams, and many more amazing creatures are waiting for those who want to experience the adrenaline rush and get unforgettable emotions. If the received impressions won’t be enough for you, the creators have prepared another surprise: right behind the glass of the aquarium, the divers feed real sharks, tearing their victims with their teeth in front of numerous spectators. This is one of the most visible constructions in Las Vegas. The dimensions of the tower are just impressive: the building goes 350 meters into the sky and provides visitors of the hotel with the opportunity to enjoy the scenery of the city. At night, the top of the tower is illuminated by numerous lanterns that turn the Stratosphere into a bright lighthouse. The middle and lower parts of the tower are occupied by gambling establishments, and at the top you’ll find the most extreme types of attractions, including the world-famous roller coaster. Opening hours are Monday-Thursday from 11am till 1am, Friday-Sunday from 11am till 2am. The ticket price for adults is $16 and for children – $10. You can buy an unlimited pass for $32, which gives you the opportunity to spend the whole day on the rides and get to the observation deck. 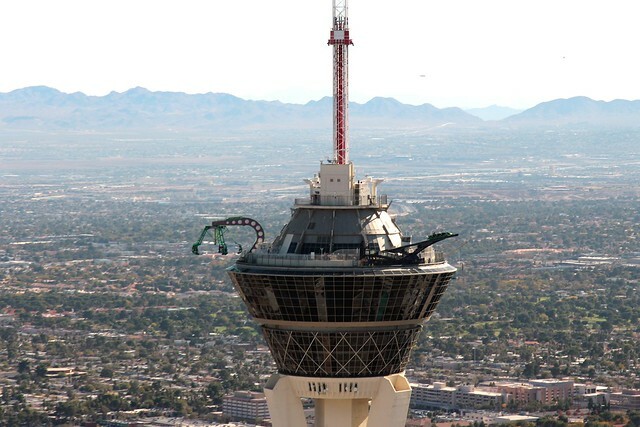 The Stratosphere Tower occupies an important niche in the entertainment industry of Las Vegas and attracts the attention of thousands of visitors to the city who want to have fun and enjoy the fun atmosphere. This place differs from the rest of the attractions of Las Vegas by its natural origin. Oceanic and volcanic rocks have created an amazing landscape enveloped in fiery colors. The flora of the canyon is represented by evergreen cacti, which is a constant companion of deserts and tropics. Having received the status of a nature reserve, the canyon attracts a large number of tourists. Visitors to the city can rest from the noisy atmosphere and enjoy the calm landscapes born by nature. The fans of extreme entertainment will also choose a lesson to their liking: the canyon provides an opportunity for climbing and traveling along mountain trails by bicycles. Red Canyon is located 17 miles away from the Las Vegas Strip. The Mob Museum towers above the City Hall and is located in the courthouse. It tells the story of the formation of criminal structures in the city, as well as the emergence of various criminal gangs, whose financial flows have greatly helped the development of the entertainment industry and the transformation of Las Vegas into the capital of the gambling business. The exhibits of the museum are items of the criminal environment of the 20th century. You can see there firearms and cold arms used in clashes of representatives of criminal gangs, their clothes, shoes and other elements of the forbidden life. 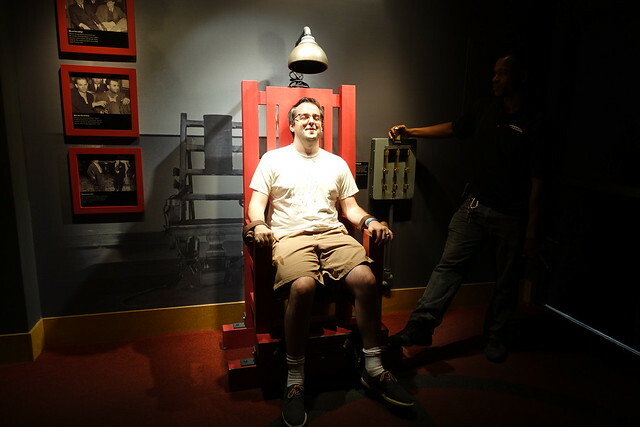 Particular attention should be paid to the electric chair, which at one time became the last refuge for many violators of the law sentenced to death. The Mob Museum is one of the most famous attractions in Las Vegas and, undoubtedly, it’s worthwhile to see the amazing history of the criminal world with your own eyes.